With our new Wire EDM MD + PRO III, we machined this flexure plate with thin, .01" wide cuts, fixtured and stacked 3 high and 3 wide. We made a hundred a week and sold them at $35 less (per part) than we could source anywhere in the USA. Substantial savings we could have pocketed, but this is why we beat China and why our European customers keep coming back to us. How do we do it? We don't price gouge and our world-class fixturing expertise saves costs so we can offer lower pricing. 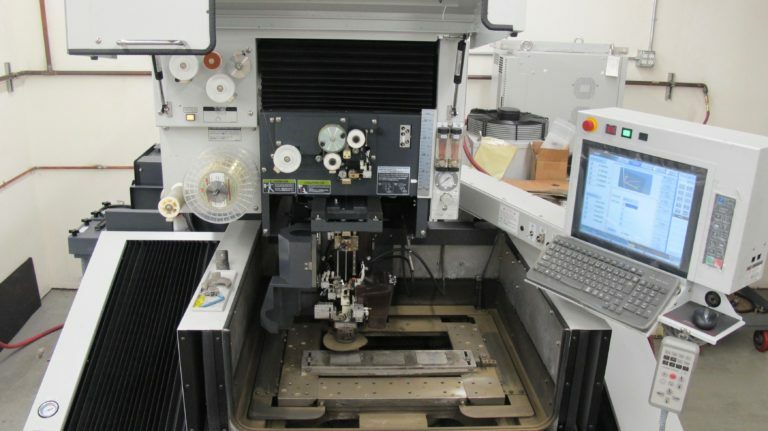 When does it make sense to Wire EDM Machine parts? 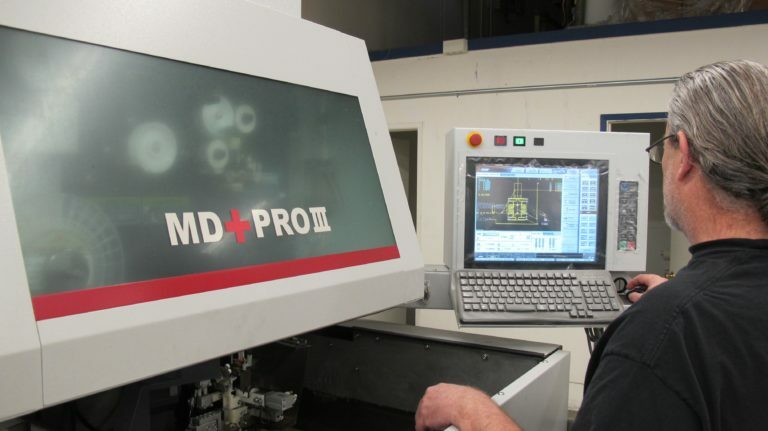 EDM machining is perfect for machining hard materials, complex 2D shapes, thin walls without distortion, intricate openings and sharp inside corners. Case hardened steels and other exotic alloys are quickly and easily cut with precision while leaving surface finishes at 32 RMS or better and without a burr while traditional CNC machining will burn through tools, take 10X longer (more expensive) or may not even be possible. Wire Electrical Discharge Machining (EDM) precisely cuts electrically conductive materials with a smooth finish and zero burrs. A thin wire is fed into the material while the material being cut is moved to create the desired geometry. One can expect to cut geometry that is very difficult to achieve by traditional machining practices. It is widely known that tapering can be an issue with EDM, however it is NOT true for Wire EDM. Tapering become an issue with sinker EDM, which is a different process. SHARP CORNERS, complex GEOMETRY AND precision +/- .0001"
Ultra Precision – EDM Machining cuts complex geometry within ± 0.0001” in a 2D Plane. Complex & Thin Walls – Wire EDM cuts thin-walls without distortion, .005″ thin cuts are possible. Material Hardness doesn’t matter – Cuts case hardened steels and exotic alloys like butter. 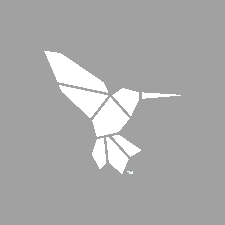 Fragile Parts – Wire EDM does not push or pull the material making it ideal for delicate parts. Excellent Surface Finish – Typical surface finish is between 16 and 64 RMS. No Burrs Saves Costs! – The edges will be smooth, saves time deburring parts. 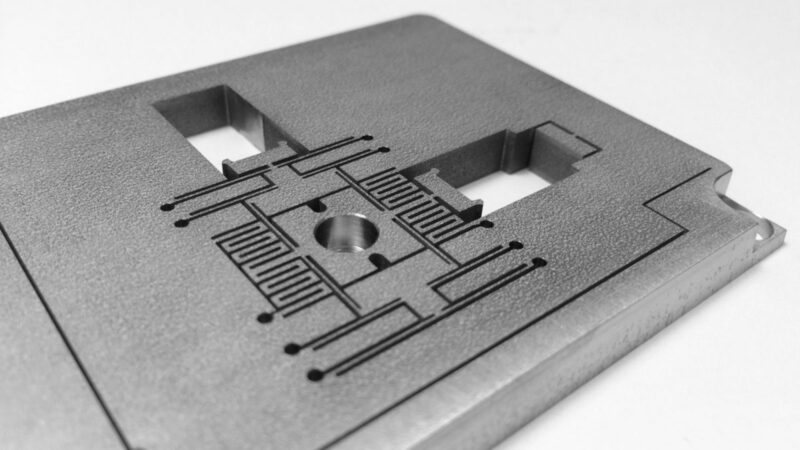 Square Corners are possible with Wire EDM. Case hardened steels and other exotic alloys like HAST or CMPVs are quickly and easily cut with precision wire EDM while leaving surface finishes at 32 RMS or better and without a burr; traditional CNC machining will burn through tools and take 10X longer, hence why we offer Wire EDM for our customers. Are You Ready to Get Lower Pricing and Shorter Lead Times?